The mission of the Pedro Arrupe Center is to assure that students are equipped to engage in careful, sustained, and critical reflection on ethical issues and are prepared to use that reflection in their business decision-making. Can a Business Organization Be a Criminal? 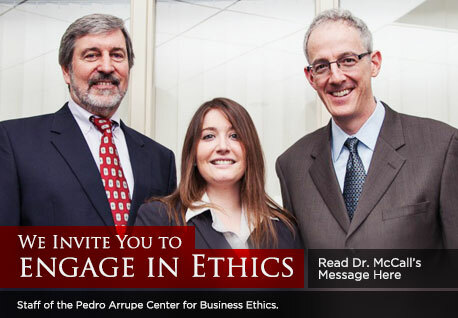 Marketing Ethics: a Paradox or a Path to Consider? Does Teaching Business Ethics Actually Make Business People More Ethical? © 2019 Saint Joseph's University. All Rights Reserved.